It is the most wonderful time of year– Holiday Time at Disney World! To be honest, December is my absolute favorite month to visit Mickey and his friends. 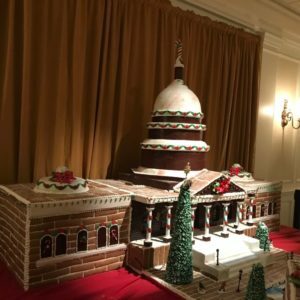 The parks are decorated with festive ornaments, garlands, and towering Christmas trees. Carols are playing everywhere you go, and shop windows feature whimsical holiday scenes. If you twitch your nose just right, you can smell holiday cheer wafting through the air. It is just plain magical. 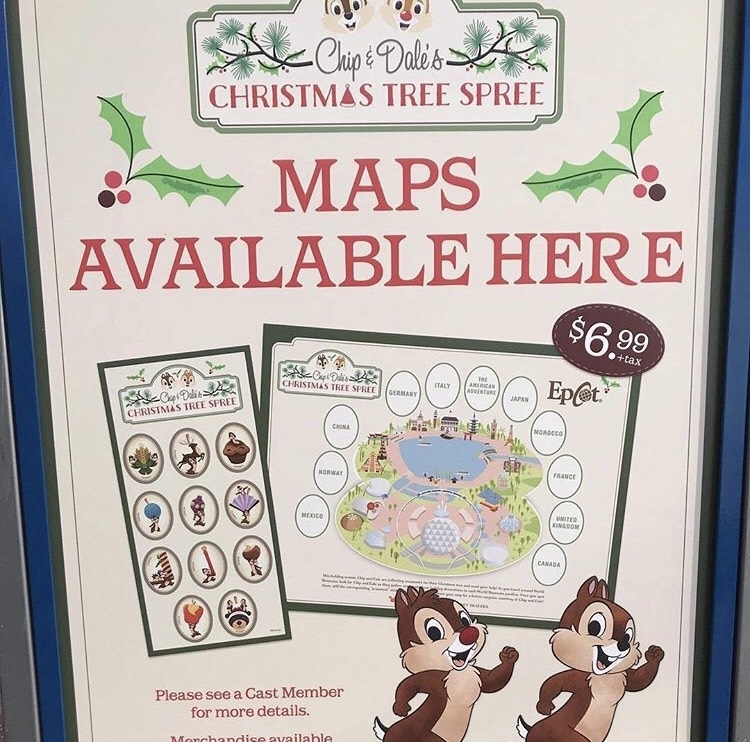 Thus, imagine my excitement when I learned of a new and interactive scavenger hunt, featuring Pluto’s favorite nemeses, Chip and Dale! 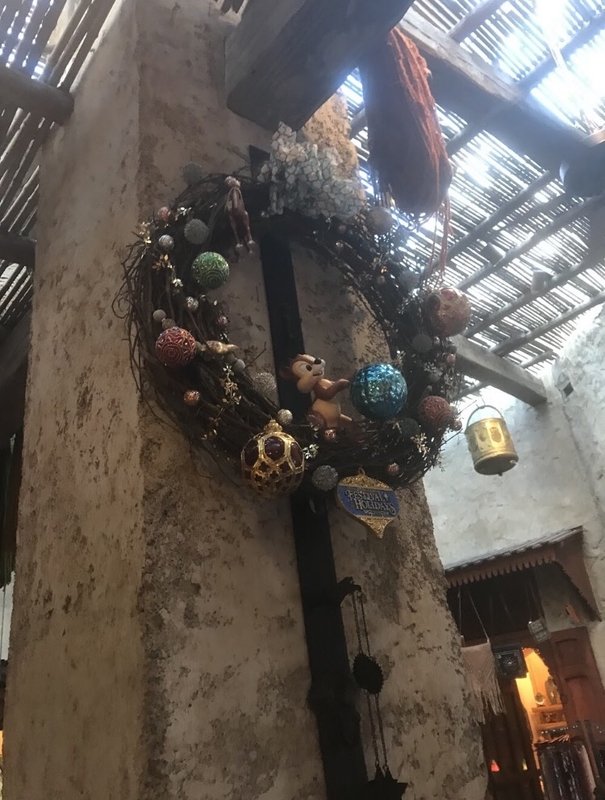 These rascally critters had invaded the World Showcase, hiding out in Christmas decorations in every country. My, oh my! Remembering the old Chip and Dale Christmas cartoons (Santa candles, anyone? 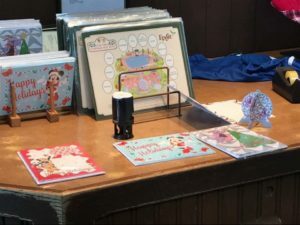 ), I knew that this would be a fun little adventure– one that would also provide my husband and me time to take a gander at the wares around the world. We found our map at Gateway Gifts and, after a brief stop to ride Soarin’ and watch the Pixar Film Festival, dashed off to Canada to start our Christmas Tree Spree. At first, we didn’t quite know what to look for. All we knew was that Chip and Dale were hiding in each country. The Canadian spot was a more difficult to find because of this, and I didn’t want to outright ask the Cast Members if they could point us in the right direction. Funny enough, they must have been used to seeing families cluelessly wander around their pavilion, because someone eventually came by and was sweet enough to give us just enough of a hint to help us move on. Really, I absolutely adore Chip and Dale and, even though they have meet and greets and character meals, I still don’t think they get enough playtime in the Walt Disney World Parks and Resorts. 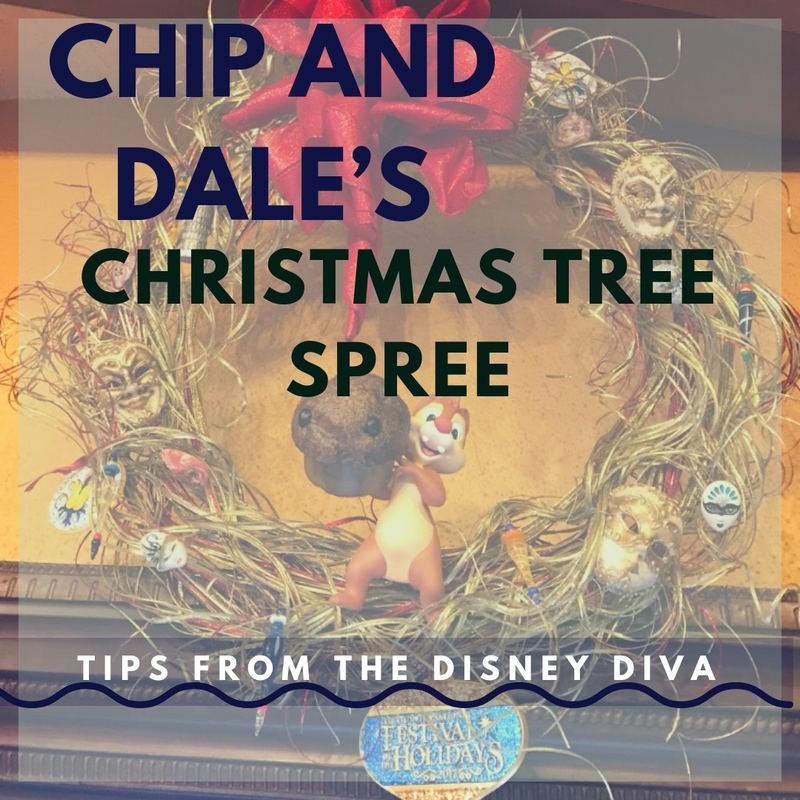 It was such fun to bring back the simpler memories of these two feisty little chipmunks, chasing one another around the tree, taunting Pluto, and causing chaos in Mickey’s winter abode. The whole family got in on the fun of spotting the little critters. Once you locate the trickster ‘munks, pull out your map and place the corresponding sticker on the correct country. 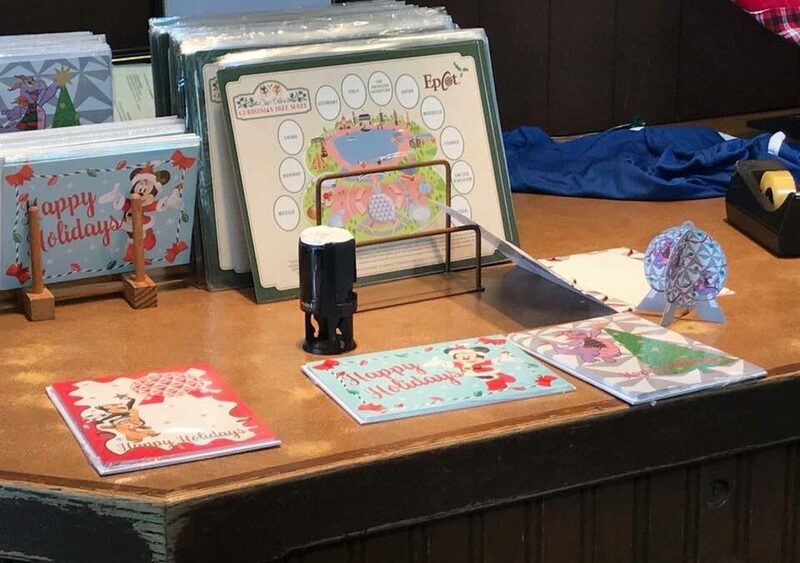 Return completed maps to Epcot’s Port of Entry to receive a set of adorable collectible pins. 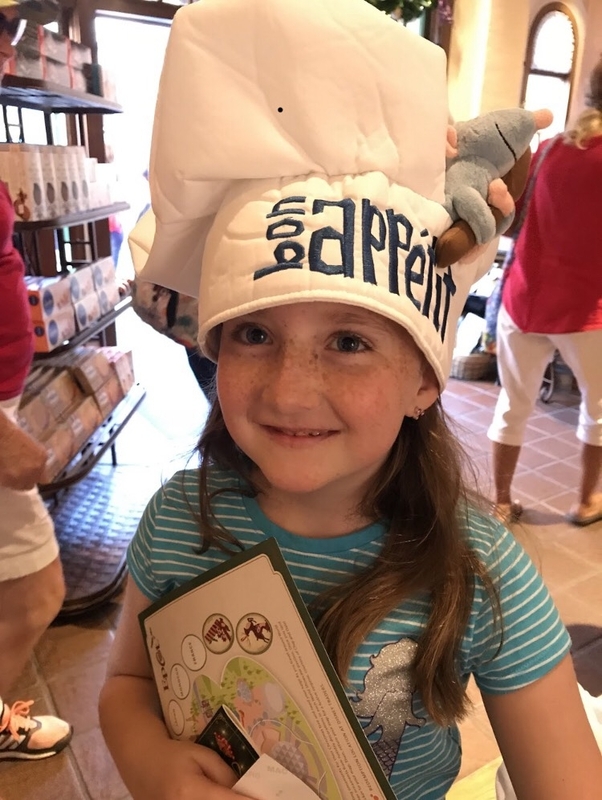 We spent several hours exploring all of the little shops and stops around the World Showcase, discovering hidden treasures and details that we had never seen before. 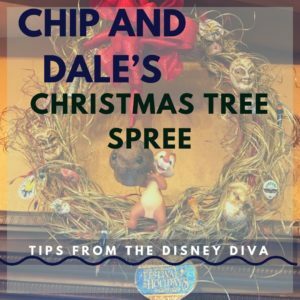 Chip and Dale’s Christmas Tree Spree was a delightful way to spend a relaxing afternoon, soaking up Christmas spirit and holiday cheer. 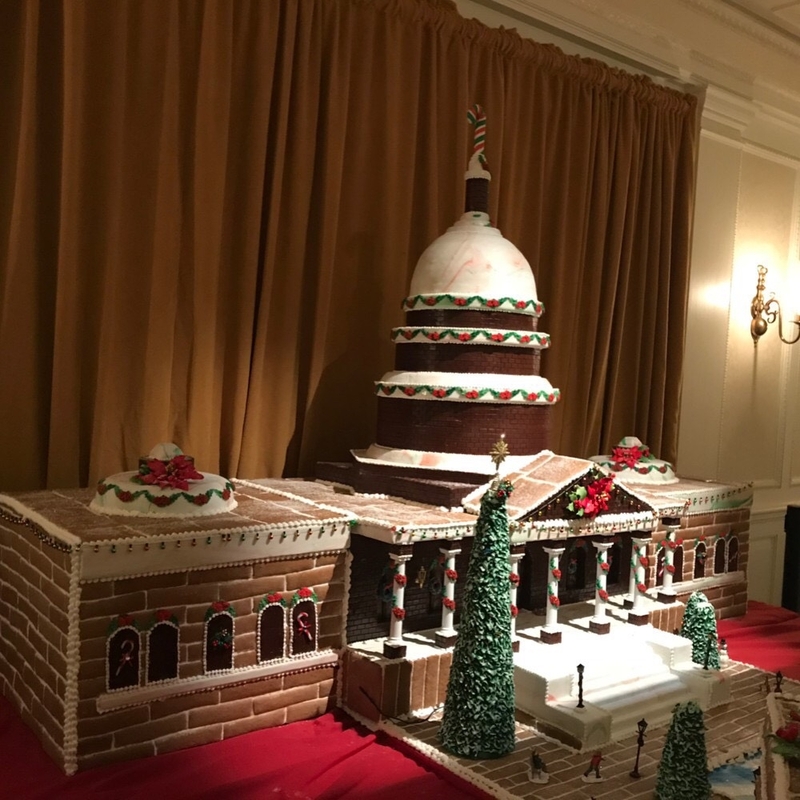 This is number one on my Holiday to-do list at Epcot, followed closely by the food booths at International Festival of the Holidays and visiting the various storytellers in each country. I would say that this is an ideal family activity for any child old enough to play “I Spy,” all the way up through the middle school years. Adults, don’t miss out on the fun! Need something to do while you sip your way around the world? 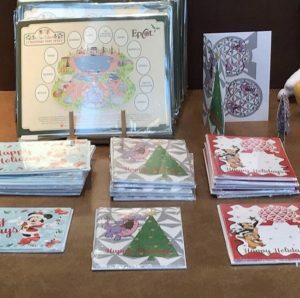 Pick up one of these fun maps and take home a cute little souvenir. 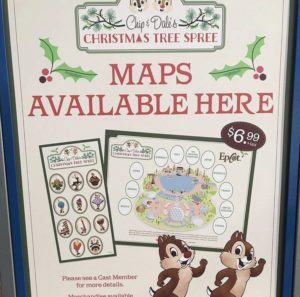 Maps are $6.99 each for the 2018 season, Annual Passholders can receive a discount. Technically, you don’t need a map to play, as Chip and Dale are hiding in plain sight. However, if you want the prize at the end of the game, you will need to pay to play. Purchase your map in a number of gift shops in Epcot. Try the Port of Entry if you forget on your way into the park. 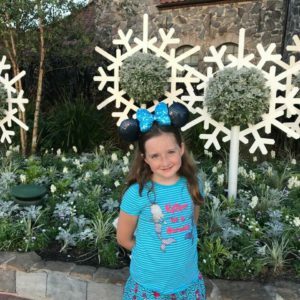 Save this activity for after the rope drop rush. The World Showcase opens at 11 and this is a fantastic thing to do when the park starts to get busier. Didn’t finish the hunt all in one day? No worries! Just bring it back and complete the game during the holiday season. Hi, I'm Tiki Diva! 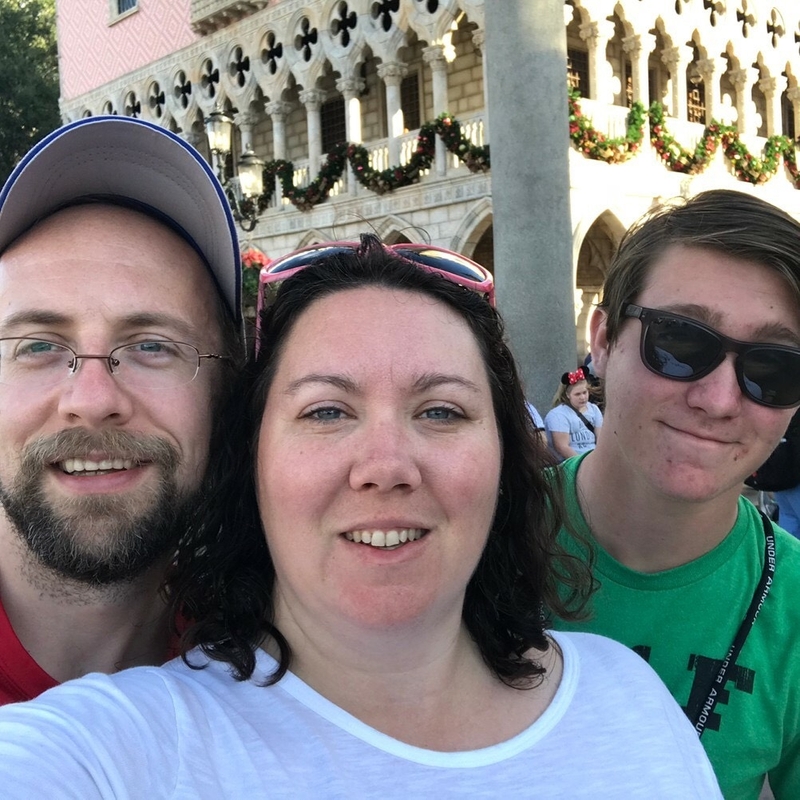 I'm a homeschooling, working mother of two mostly-delightful children, though my oldest is almost grown-- how does that happen?! My husband and I reside in the mountains of Southwest Virginia, but my dream is to live within a couple of hours of Disney World.